Menara Zurich (also known as Zurich Tower & formerly known as Menara MAA) is a freehold office building located in JB City Centre, Johor Bahru.The built-up available at this project is 1,063 sf to 2,754 sf. Other neighbouring projects around here are City Plaza, Menara MBJB, Menara MSC Cyberport, Menara Pelangi, Metropolis Tower and Wisma Abad. 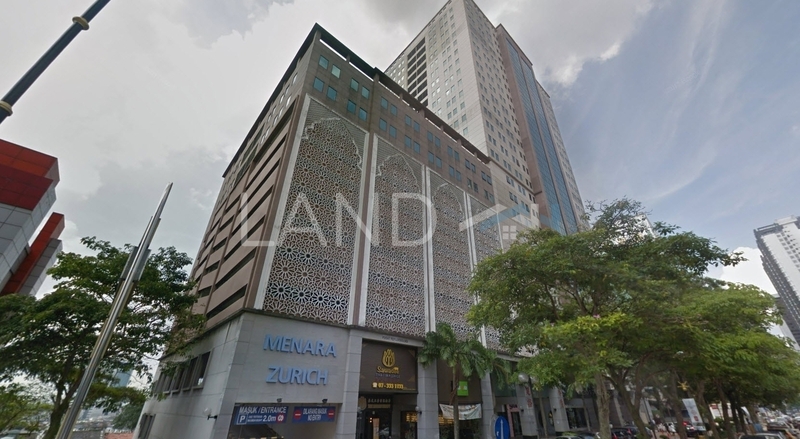 The most popular layout and size combination at Menara Zurich is 2,754 sf with a median rental of RM2.40 psf. For rental wise, the most expensive one is 1,914 sf with a median rental of RM3.00 psf; while the cheapest one is 2,754 sf with a median rental of RM2.40 psf.